Many people who commute to Baltimore, MD for work are making Glen Rock, PA their new home. 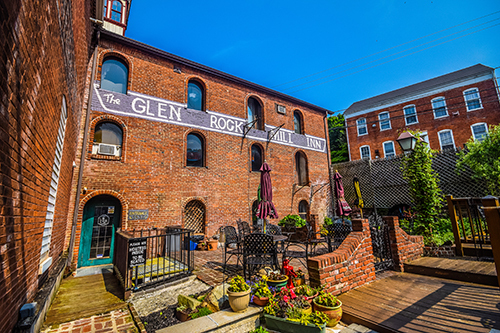 Located in southern York County, PA just a few miles from the Pennsylvania-Maryland border, Glen Rock is only a 45-minute drive from the Baltimore Metropolitan area. New and long-time residents alike enjoy the rural, small-town setting that Glen Rock has to offer. With a population of just over 2,000, Glen Rock can provide a most welcome escape from the hustle and bustle of the big city. It’s a great place to relax at the end of a long day. If you want to get out and burn off a little stress, the York County Heritage Rail Trail runs right through the heart of the town. The trail extends from York through Glen Rock to the Maryland line, where it connects with the Northern Central Railroad Trail. It’s a popular destination for joggers, cyclists and walkers in the area. If you’re a history buff, you’ll also be interested to know that in 1997, the Glen Rock Historic District was included on the National Register of Historic Places. Are you interested in exploring homes for sale in Glen Rock, PA? CENTURY 21 Core Partners can help. Our listings include a wide variety of homes in Glen Rock and the surrounding areas. Whether you’re in the market for a single-family home, modular home or condominium, there’s an excellent chance you’ll find the perfect residence at a price that fits your budget. CENTURY 21 Core Partners is also known for providing the best customer service in the local real estate industry. Not surprisingly, the Internet has become a valuable and popular tool for anyone searching for a home. The CENTURY 21 Core Partners website is designed to save home buyers time and aggravation during their search process. You’ll find all of our Glen Rock, PA homes that are currently on the market, along with up-to-date information about each property. Use our site to take a virtual tour of a potential home, or view the professional-grade architectural photographs to get to know the property inside and out. We also offer mobile apps, so you can access the latest property information while you’re on the go. The CENTURY 21 Core Partners team includes experienced, professional agents who know and understand the Glen Rock real estate market. In addition to helping you locate the most suitable Glen Rock homes for your requirements, we’ll also be there to guide you throughout the buying process. We can help you prepare a fair and reasonable offer and navigate the stressful process of obtaining financing. When the time comes to settle on your new home, we’ll also take care of the multitude of details for you. To get started on your search for homes in Glen Rock, PA, call the professionals at CENTURY 21 Core Partners at 717-718-0748. You can also fill out and submit the convenient online contact form — and feel free to submit any questions about specific properties you find on our website!